While travel volume is expanding at a dynamic pace, travellers are slowly getting bored with the traditional, readymade package holidays. Now, travel agencies and tour operators have begun to offer the innovative ‘Dynamic packaging’ in order to attract more cost-conscious and variety-loving customers. Dynamic packaging enables the travellers to create their own package of flights, accommodation, and car rental in lieu of buying a pre-defined package. The customer can pick, choose and design his/her own ideal holiday. It’ll be not the tour operator but the customer who chooses the beach where she’d sunbathe, the hotel she’d stay and the flight she’d fly to her destination. With dynamic packaging, the travel agent or the tour operator can provide a tailor-made holiday package which best suits the traveller’s needs and tastes. Dynamic packages are mainly sold online. The big margins and high sale price endear this novel travel product to travel agents and tour operators. 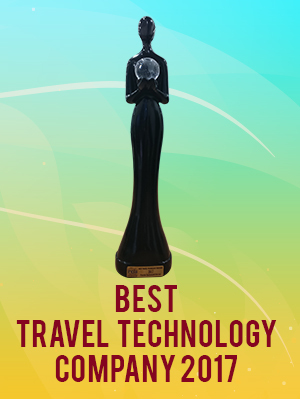 Many of them are busy getting travel technology companies to build travel software with dynamic packaging of flights and hotels. Travel software with dynamic packaging of flights and hotels must be able to dynamically source inventories of flights, accommodation and car rental components for the package in real-time. The software also has to dynamically synthesize the customer’s choices into packages and give the total price. Individual prices are not informed to the customer, but, anyway, they’ll be less than when they are bought as single components. Travel software with dynamic packaging of flights and hotels will provide the travel agent or the tour operator an inventory management system, mark-up engine with business rules and a ticket issuing and resolution system. With such a specialist software, you can offer dynamic packages to your customers direct from your website. An experienced travel technology company can design your system and deliver a viable dynamic package solution for travel retailers. A good travel booking software development firm can integrate and deploy dynamic packages –flight search engine, hotel search engine / hotel reservation system, car module, cruise and vacation packages – on travel retailer’s websites. It will serve B2C B2B and B2B2C categories. In other words, dynamic packaging connects flights, hotels, car rentals, cruise, etc, in the travel retailer’s booking software and enable him to offer a very wide range of travel products that can be booked together as a package. Customers will be able to book flight tickets, hotel rooms, cruises, etc simultaneously. Main components of dynamic package are dynamic inventory sourced from wholesalers, facility provided to customers to choose from that dynamic inventory, and enabling of customers to book in real-time. Even a sub-agent can offer dynamic packages to his customers using. Travel software with dynamic packaging of flights and hotels empowers travel retailers to package various travel products in real-time and sell it in one transaction across multiple distribution channels. With such a sophisticated software, travel agents can deal with both internal and externally sourced products (air, rail, hotel, activities, transfers, cruises, etc) for packaging. 16. Produces vouchers, itineraries, invoices, bills, passenger manifest reports, etc. Consumers can customise itineraries through one or more websites. They can choose the dates of travelling by themselves while a package tour always start and end at dates common for all the travelers who participate in that package. In a package tour, the travellers have to invariably go to all the places prescribed in the tour, or stay at hotel! Nevertheless, the traveller has to pay for all those travel products which do not interest him. But with the travel software with dynamic packaging of flights and hotels he can eliminate all the travel components that do not interest him. Thus dynamic package software is useful for both the travel retailer and the travellers.